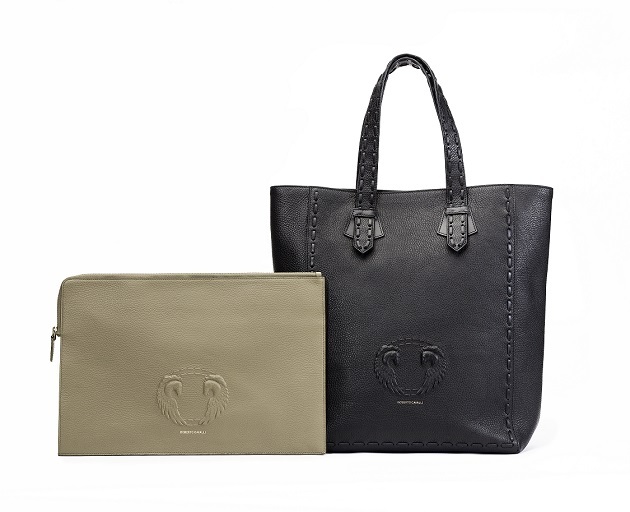 Roberto Cavalli Launches Limited Edition Leather Goods for Japan Hong Kong by introducing this 4-piece collection features the Pegasus crescent and whipstitch motif on clutch and tote bag designs. 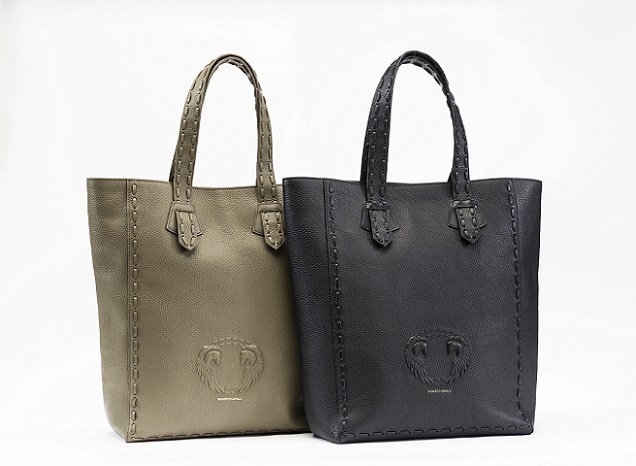 Proudly made in Italy, they are constructed of plush grosgrain leather in a muted utilitarian palette of olive or tobacco, exquisitely finished with the namesake logo hot-stamped in gold. Boasting a superior quality that’s built to last, they will be exclusively available for a limited time in Japan and Hong Kong stores from August 2016. The Fall 2016 Cavalli Man is presented as a rock icon; the collection is a careful juxtaposition of the precious and the everyday, the casual and the tailored, to take him from day to night.